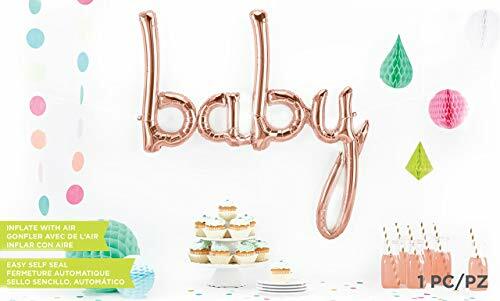 This 46" Rose Gold Script Baby Balloon is the perfect addition to any baby shower, it is a great gender neutral for both girls and boys. Also great for a first birthday party. The Rose gold is so pretty and unique, and the script and size are both perfect! Make a statement with this gorgeous air-only Rose Gold Baby Balloon! If you have any questions about this product by Jamboree Party Box, contact us by completing and submitting the form below. If you are looking for a specif part number, please include it with your message.